As technology advances and prices decrease, the emergency management field must collectively look to the next generation of innovative technologies and strategies to safeguard America’s soft targets. As a movie played in the background, James Holmes snuck out the rear theater exit and propped the door open. He exited the movie theater, walked to his pre-positioned vehicle, dressed in body armor, and calmly collected his weapons. The tragic act of domestic terrorism that occurred moments later in Aurora, Colorado is a heartbreaking example of attacks against soft targets. Soft targets are everywhere and when they suffer attacks, the results are devastating. More can be done to protect soft targets, but it often comes at a high price. Unless living on a military installation or in a prison, we all spend considerable amounts of time in locations that are considered soft targets. Emergency managers consider soft targets as any area primarily used by civilians that is undefended, unprotected, or under-protected against attack. Soft targets typically have open access points and lax security measures. They afford terrorists a low risk of failure and a high probability of “shock value” when the attack is covered in the media. Although soft targets are not usually selected for their symbolic value, they can be–which leads to attacks on soft targets being highly unpredictable. Schools, movie theaters, places of worship, restaurants, transit hubs, universities, malls, and hotels are all examples of soft targets. The innocence of these locations coupled with the randomness and unpredictability of attacks on those institutions make assaults on soft targets even more memorable. Who can forget Columbine, Aurora, the Sikh Temple in Wisconsin, the Sbarro suicide-bombing in Israel, the train station bombings in Madrid, the Virginia Tech Massacre, the Salt Lake City Mall shooting, and the 2008 attacks on two hotels in Mumbai, India? The trauma of such barbarism in places of routine safety etches an enduring scar on our memories and challenges the safety and security we try to foster in our communities. Due to the understandable budget-restraints of soft targets, the following emerging techniques, technologies, and methodologies are tailored specifically for soft targets as cost-savings measures. The least expensive form of improving security at soft target locations is providing training and outreach to employees, customers, and other visitors. Training employees is terrific, but participating in awareness campaigns for the public and visitors to soft targets is a “force multiplier”. In other words, instead of a dozen or so employees looking for suspicious behavior, potentially dozens or hundreds of customers are encouraged to report untoward circumstances. Much like anything in emergency management, creativity goes a long way and partnerships, ingenuity, and robust training/awareness programs can make the difference between safety and tragedy. 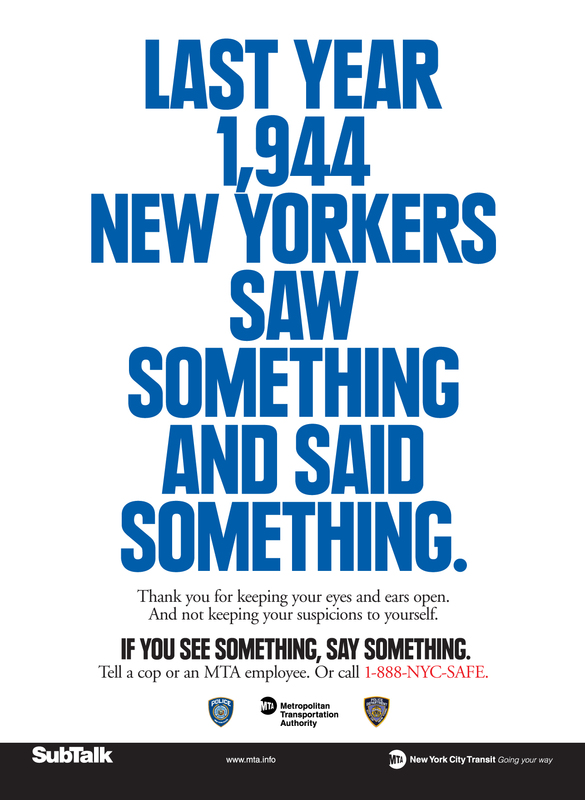 The national “See Something, Say Something” campaign has been widely publicized for encouraging the public to report suspicious persons, activity, packages, or other circumstances. Soft targets should consider participating in awareness campaigns to encourage the public to report suspicious activity–vigilance should not end at the ticket booth or the schoolhouse steps. Because of a lack of resources, many soft targets are lucky to have an unmonitored surveillance systems or a couple of security guards. Soft targets can maximize the deterrent effect of surveillance systems or security guards through several innovative yet inexpensive methods. To make surveillance cameras more noticeable, several jurisdictions (such as the Chicago Police Department) have installed cameras with conspicuous flashing blue lights. Using lights to draw attention to the security cameras is a low-cost but high-visibility method to increase the deterrent effect of the cameras–especially at night when a surveillance camera might be near invisible. Additionally, security guards can be made more noticeable by issuing bright, neon reflective vests and jackets. Police officers in Britain are famous for wearing highly-reflective vests and trench coats. The memorable attire advertises presence and hopefully deters those with malicious intent from carrying out an attack in the area. In the same vein, many security vehicles are now being outfitted with strobes and other lighting packages that are constantly activated to advertise roving presence. Since early this year, the Philadelphia Police Department has used always-on blue and red lights on their light bars to improve police visibility. For a very low-cost, the increased visibility is substantial. Strong environmental design with a concentration on security can be cost-effective and efficient in reducing the attractiveness of a soft target. Through the use of open floor plans, reducing blind spots, and improving lighting, soft targets can improve “natural surveillance”. Natural surveillance is the concept that areas can be made easily observed–and thus reduces the likelihood of attacks–by providing adequate lighting, pathways, fencing, and other design-based components. Many CPTED concepts are relatively inexpensive and can improve safety and security. Improved lighting and lines-of-sight can draw attention to unattended packages and can even serve to deter potential attackers. CPTED doctrine is advanced and can offer many other benefits. Soft targets should consider performing a physical assessment to determine if CPTED concepts could be successfully implemented to improve security. As the Aurora massacre demonstrated, access control can be the difference between life and death. Sneaking through emergency exits, circumventing common pathways, and propping open exterior doors are all examples of failing to control access points.Soft targets are characteristically easily accessible and can lack alarmed exits. A simple way to reduce a soft target’s desirability is to reduce the number of active egress/ingress routes. This can be done in a variety of ways: by installing door and window alarms or key-card access systems, installing barriers to keep vehicles away from a structure or gathering area, and implementing security checkpoints (both high- and low-tech) for an added layer of deterrence. In addition to physical access control, information access should also be monitored closely; maps, facilities layouts, and other resources should be controlled and only those with a need-to-know should be allowed access. While improving security and deterring the potential for attack has traditionally been regarded as a resource-intensive process, this article demonstrates how low-cost solutions can be strategically implemented to minimize resources and maximize opportunity. By implementing outreach and training, employing simple design improvements, increasing visibility, and specifically regulating access control, soft targets can decrease vulnerability and reduce their attractiveness to potential attackers. When seconds count and lives are in danger, it just might be that an inexpensive protective measure can save lives and prevent tragedy.